Kerbal Space Program is a game where the players create and manage their own space program and thus also our focus for this edition. 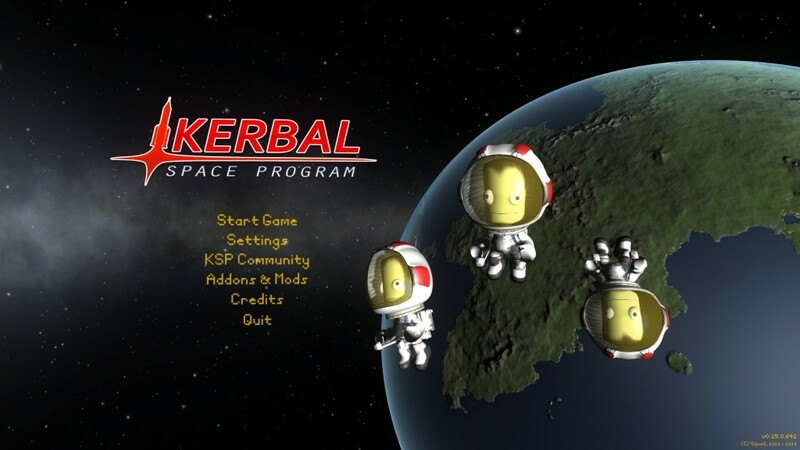 For the NerdiPop Games Spotlight: Kerbal Space Program Review (KSP) we will start with a short explanation of the game. In short, you build your own spacecraft, fly them, and try to help the Kerbals to fulfill their ultimate mission of conquering space. For a game that isn’t completely finished, I can simply say I have clocked in more than 200 hours in game-time and I am still loving it. In layman’s terms, KSP to a game where you try to launch green aliens, known as Kerbals, into space. Sounds simple enough, but the real fun is building your spacecraft and trying to get it into orbit. With a simple drag and drop interface, the game allows you to easily build your own rocket and blast your ship into orbit (sometimes with disastrous consequences!). Created by Squad (https://kerbalspaceprogram.com/) the game drew the attention of NASA, who with collaboration with Squad, made an Asteroid Redirect Mission for the game. With a working solar system in the game, the player can send his crew to one of the orbiting moons around Kerbin (the planet the Kerbals are from) or send it one of the neighboring planets in the solar system. With new additions that are added to the game with each release and a fully working mod community, you better give Kerbal Space Program a look! You might just enjoy it! And with the 0.25 update just released there isn’t a better time to get into a rocket and fly into space.